I promise it will come true. Then Sandy begins spotting him around her new home in San Francisco. Just when Sandy finally meets this gorgeous doppelganger Mick Barron and her life starts to make sense again, the real Peter warns her in yet another nighttime dream there was indeed someone who was able to punch through the dimensional veil between their worlds—an assassin contracted to hunt down and kill her. This assassin is a mimic able to take on the image of any person—her coworkers, friends and even her new boyfriend Mick. Now Sandy doesn’t know who she can believe or trust, why this otherworldly hunter wants to kill her, or who can and will help her escape him. Now Sandy doesn’t know who she can believe or trust. Or why this otherworldly assassin wants to kill her. Or who can and will help her escape him. When the hunter at last finds and tries to kill her, Mick Barron miraculously appears from nowhere and rescues her. After a terrifying chase, they finally lose he, and Mick explains who this assassin is—a lethal hunter contracted by her father and evil dictator from their world of Noma. Where he is from, confessing that he is her Peter (Mikkel Petros), and that somehow she was able to break through and bring him here to her world. This is when Sandy finally learns that she is the only hope for their world’s ultimate survival and end of her father’s genocidal schemes. It's been a year since Andee Peter's father unsuccessfully sent an assassin through the dimensional veil to hunt down and kill her on earth, and she's been living incognito with her Guardian Prime boyfriend Mick Barron in Roundup, Montana ever since. Now her Iroment king father, Lydon tel-Mortem, kidnapped her foster sister with the threat to kill the little girl unless Andee crosses the divide and faces him on their home planet of Noma where his own power is strongest. But in the process of sending her military guardian to rescue Marie, Andee falls down the dimensional rabbit hole and finds herself in Noma instead--alone. Not in the modern metropolis of Umbrey she aimed for either, but in the wilds of neutral territory. There she's captured by a band of rebels led by a young, attractive mountain man who determines to find out who this young foreign woman really is. 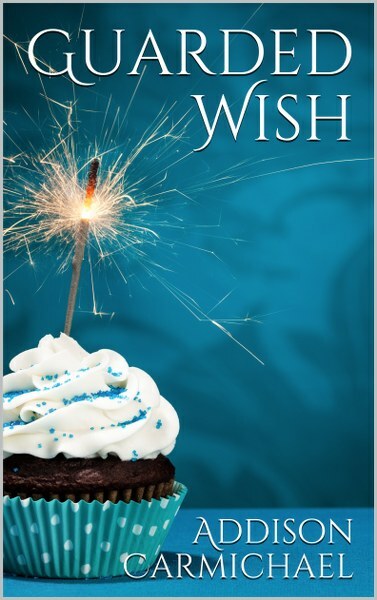 And Leotner c-Tallega doesn't plan to release Andee until she divulges her true identity--tempting her ways that makes her want to confess to all kinds of things she didn't do. 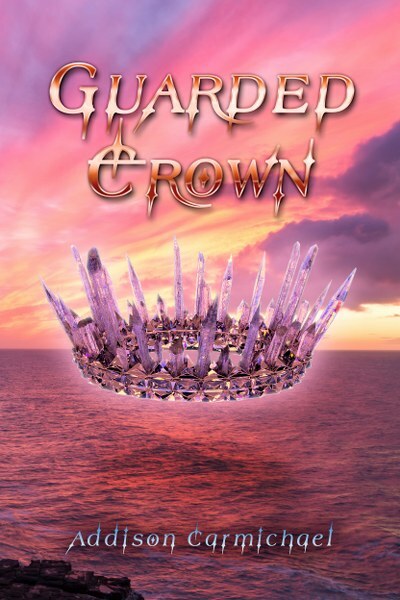 Book 3, Guarded Crown is releasing October 2018!! Addison Carmichael is a self-proclaimed literature junkie, having read most of the classics from Jane Austin and Charles Dickens to Melville and Shakespeare by the sixth grade—all for fun! She loves hiding many literature Easter eggs for her readers in the stories she writes (look for many from Lewis Carroll and J.M. Barrie in the Guardedseries). Attending Irvine Valley College and Mt. 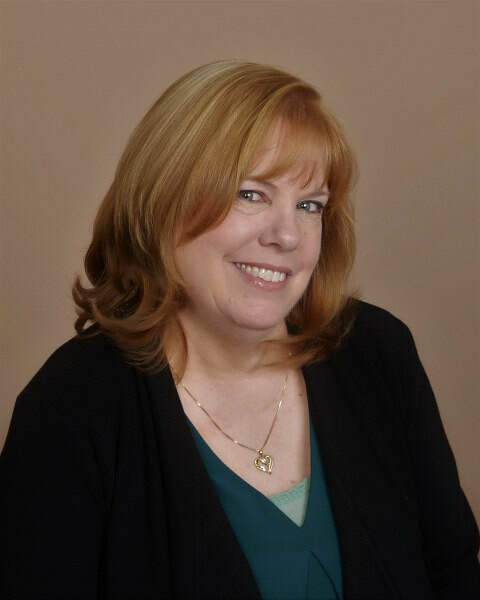 San Antonio College for degrees in Literature, English, and History, she has published 12 short stories in national periodicals. 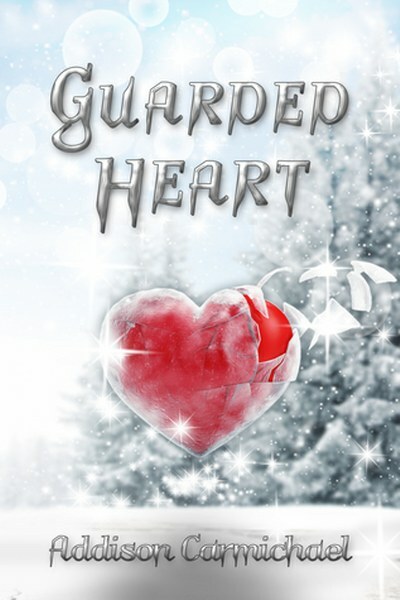 Guarded Wish is her debut novel in the Guarded trilogy series. A native of Southern California, she has lived all over the west coast, now making her home with her family in Snohomish, Washington.